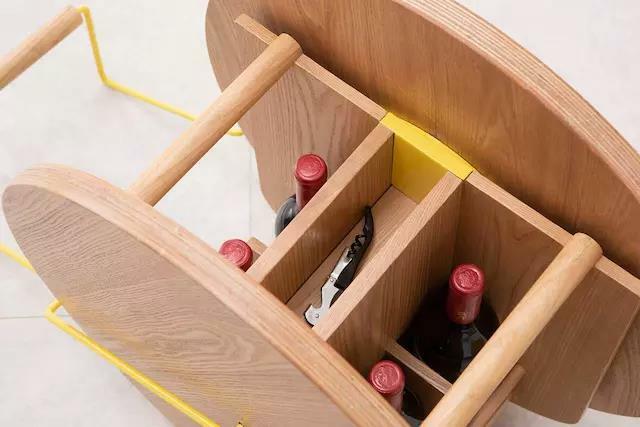 Household storage and display trolleys have been frequently introduced in the past two years, but most of them are typical four-wheeled carts or double-layer carts. 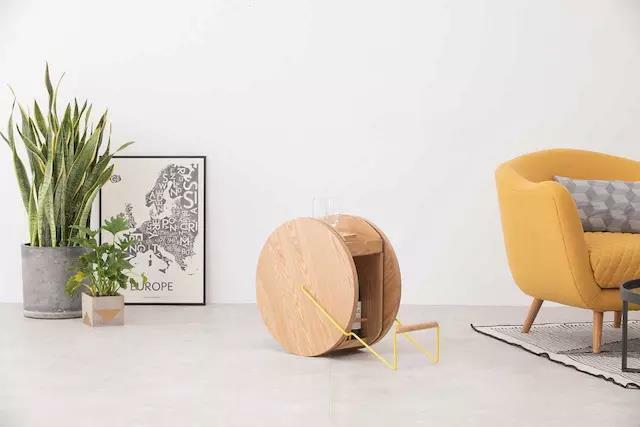 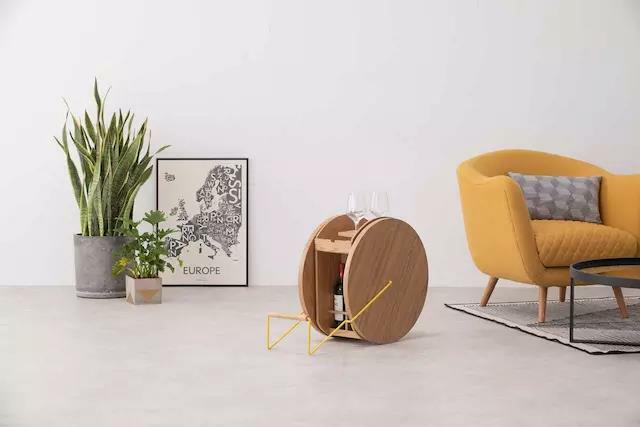 Recently, Welsh furniture and product designer Rowena Edwards unveiled a new home ROWND, which is embedded in the wheel and has a new structure. 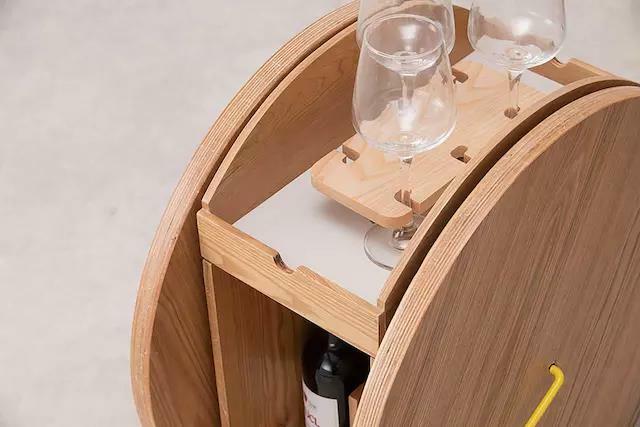 The cabinet is embedded in two large circular panels, and the round panels can also be used as wheels. 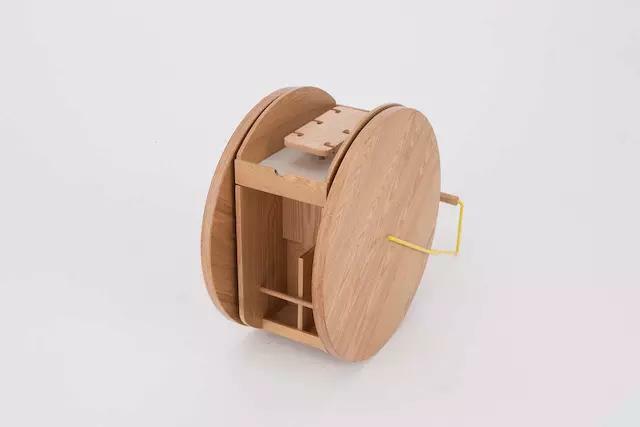 Pockets on both sides for extra items. 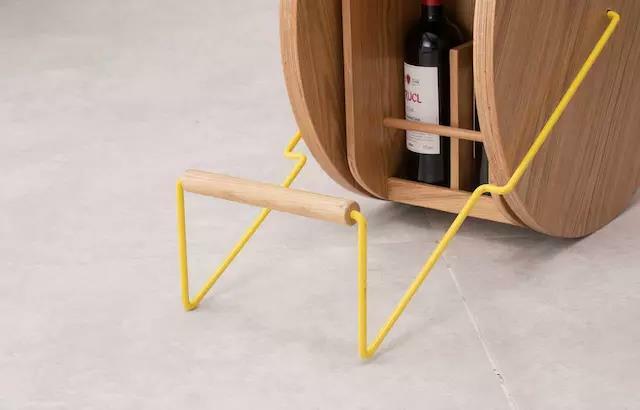 The oak cabinets are combined with bright yellow steel components to keep the cart in place and can be rotated to pull it to another position.